My first-born is getting married! Throughout the last few years, blogging has been a crucial part of my business and yet I was not inspired until now to take the next step. When my son announced that he is asking for his girlfriend’s hand in marriage life somehow leaped to a new dimension! My first reaction was delight, quickly followed by reflections back to his childhood when he transformed my identity and allowed me to experience love beyond belief where nothing else in the world mattered except holding him in my arms, singing him to sleep and to be continually grateful for this miracle. His smiling eyes, face, chubby cheeks, soft skin, little hands and feet are all grown up and he is ready to begin a family of his own. The feeling is exhilarating. I was further honored by being asked to take the picture for their ”save the date” card. Wow, how blessed I feel to be included in this wonderful new journey they have committed to. We made a plan for the photo day together at John Abbott College, the place where they first met. As I began to capture some images, I saw lots of laughter and giggles and wondered if they were feeling somewhat uncomfortable with the mother of the groom behind the camera, and yet….. how adorable they were! Our second location was beautiful Old Montreal featuring splendid architecture, where I began to realize the dynamics of their bond. My son has chosen to marry his best friend. They laugh and communicate together through their eyes and their smiles, and my heart began to beam. I realized then that my son has followed in our footsteps by choosing to marry his best friend, just as his parents did. 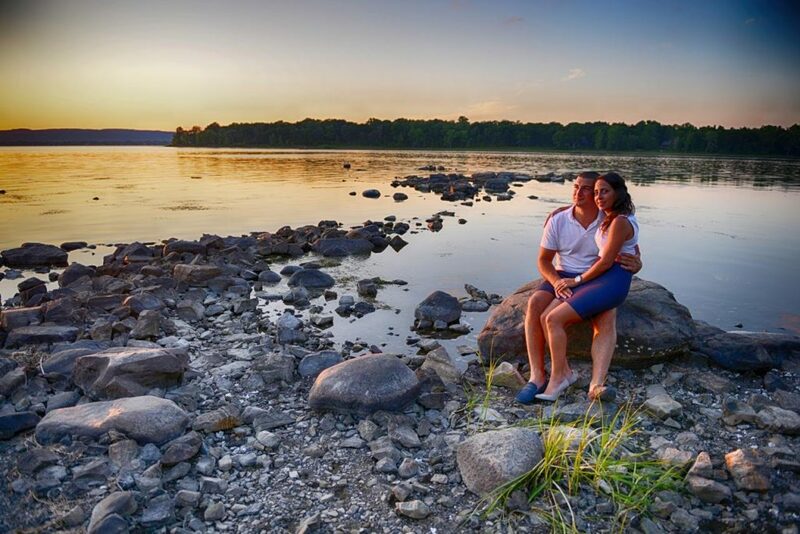 Our last photo shoot was a romantic waterfront sunset at Cap-St-Jacques, a somewhat more relaxed atmosphere with a beautiful sunset, majestic with splendid colors in the sky and tranquil waters. I feel truly blessed. A tear of joy and gratitude comes to my eye and I thank them both for giving me the honor of capturing this memory for them.